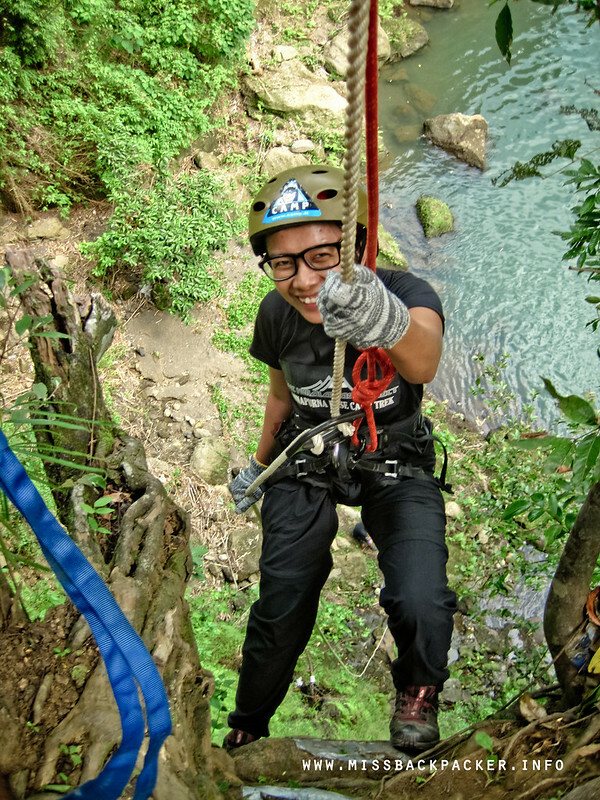 Rappelling in Layong Bato | Where Have You Been Lately? I have scaled a number of hills and mountains already but, ironically, I kinda fear the heights. Not really acrophobia, maybe I am just scared of the thought of falling and dying. Last weekend, I did another first in my life that is abseiling or more popularly known as rappelling. I have done wall and rock climbing before but it’s different with rappelling. It requires you to descend or go down. Migs demonstrating the techniques of rappelling. This was actually a fundraising event organized by my The Himalayas Project group and I am thankful that some of my friends joined and participated the event. 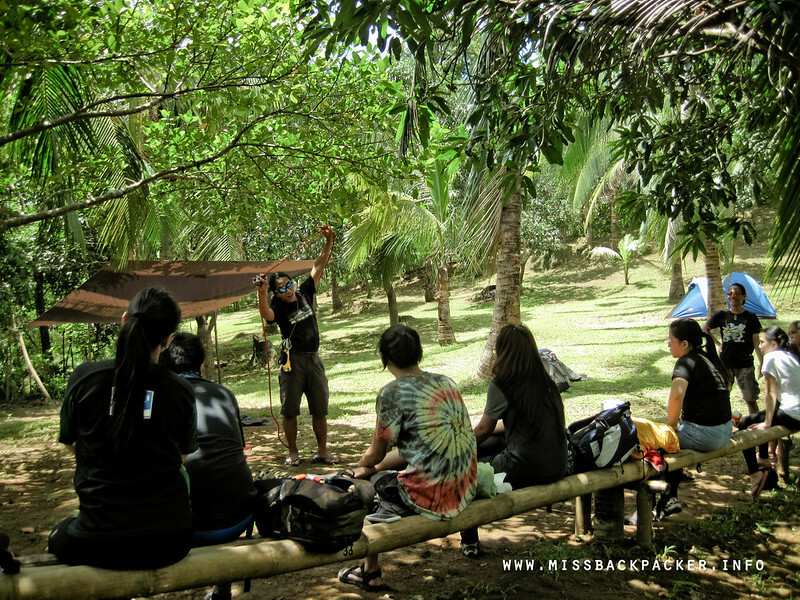 Since all of the joiners are rappel first-timers, Migs had to do an orientation before letting us jump. He gave us an overview of when rappelling is being applied, what equipment are needed, terms used, and all the basics of rappelling. 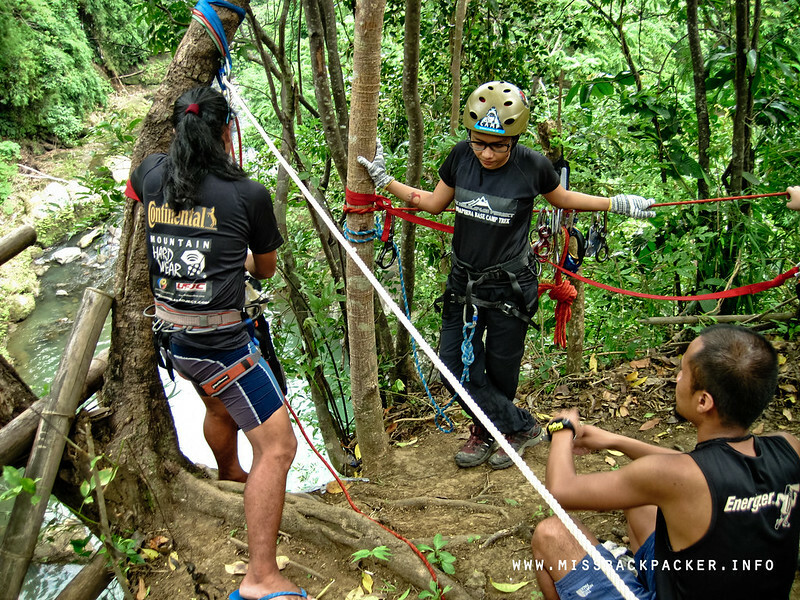 Migs is a household name in the Philippines when it comes to rappelling. He has appeared on a The Filipino Channel (TFC) show demonstrating his mastery with ropemanship. If you know our local version of Killer Karaoke, he also is the person in charge of the stunts in the show that need rope. There are still a lot but why am I even mentioning this? 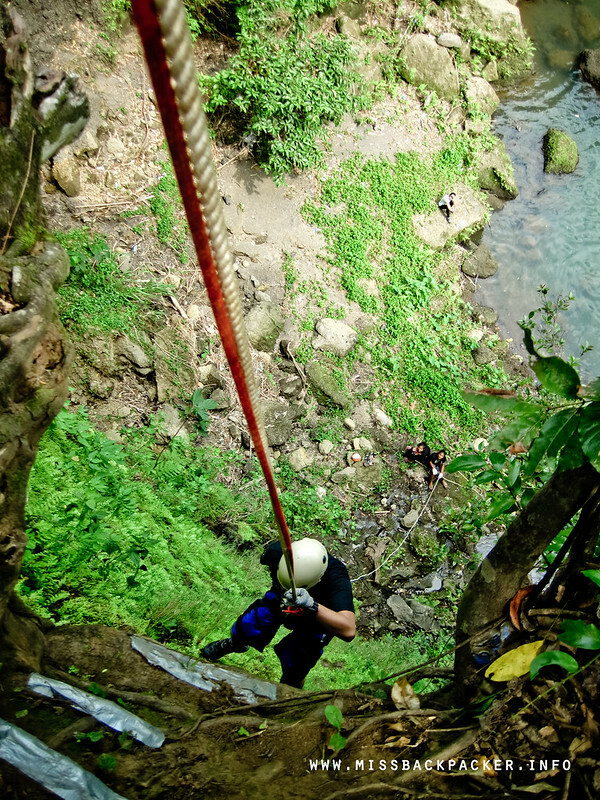 Rappelling can be fatal if executed with a non-professional jumpmaster or belayer. I entrusted my friends’ lives to Migs because I know how great he is as a rope master. Erlyn practicing before her first jump. Here’s a video to better explain the details about rappelling. 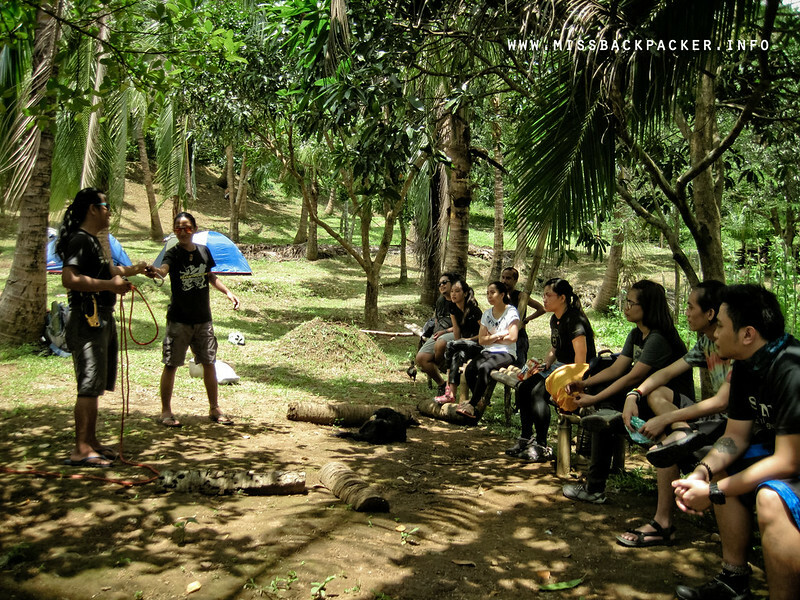 According to Migs, the place where we were camping is really called Layong Bilog and not Layong Bato but he opts to call it that way because bilog refers to the pool-like part of the stream near the campsite and not the wall where the rappelling is being executed. The natural wall of Layong Bato is perfect for an activity like this. With a height of 30 meters or 100 feet, who wouldn’t get scared just by hearing these numbers? Viewing from above, notice how small the other participants are. That’s Bert there descending. After the orientation and purposely delaying the activity, I was left with no choice but to try it. I was the one who urged and forced them to conquer their fears and try rappelling. It’d be a slap in the face if I couldn’t do it when they could. Three people went ahead of me and when it was already my turn, I could barely move. I couldn’t tell if I’d quit, cry, or what. Bahala na. Praying, calling all the saints. With a little motivation from Bien and sarcasm from everyone else, I jumped. When my feet finally touched the wall, the fear is gone. Then I just had the urge to walk backwards, slowly, making sure that rocks weren’t falling on my belayer. I honestly didn’t want it to end. I wanted more. I enjoyed every second of it. You have no idea how scared I was at that very moment. I wanted to jump again but the hike back to the start point was exhausting for a person who has been awake for almost 24 hours with little food intake. I’ll try the Aussie rappel next time. 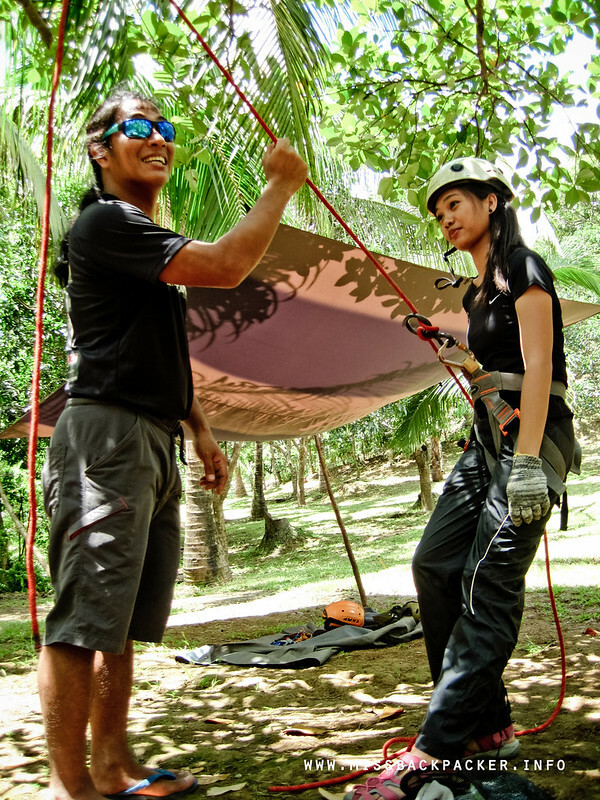 If you’re interested to try rappelling, you can contact Migs so he can arrange an event for you. 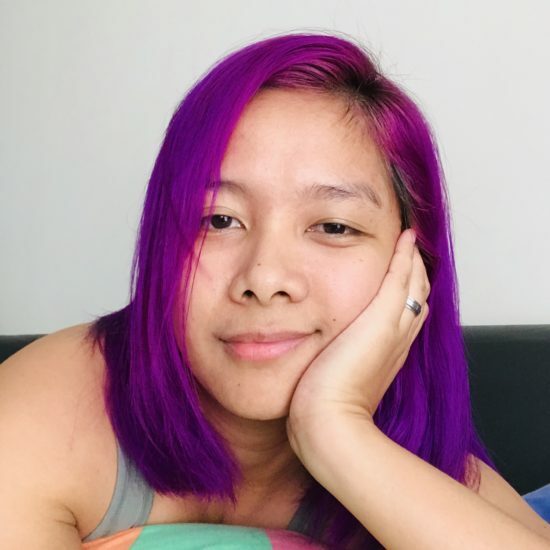 Hi Yza. Not sure why your email’s not pushing through, but please try this one. Thanks!